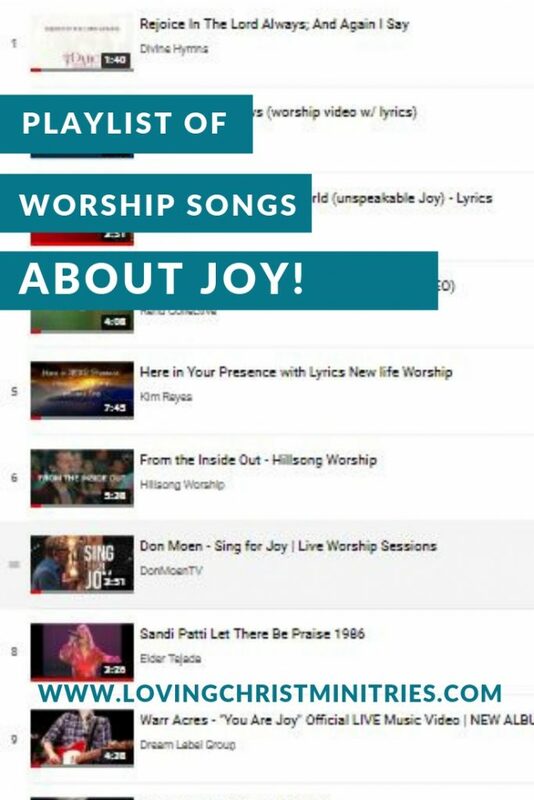 Several months ago, I put together the free retreat theme, Joy in Jesus, and with it I created an additional post with worship songs about joy for you. 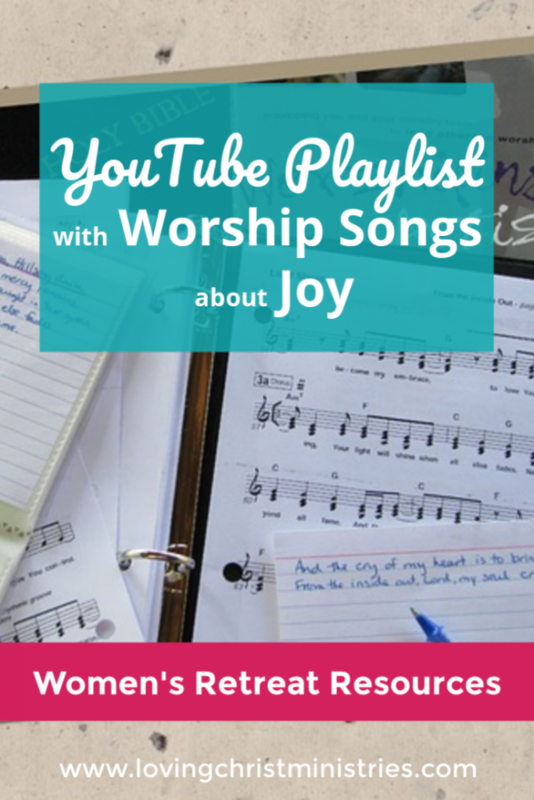 As I considered what all would help a women’s ministry leader better lead a Joy in Jesus retreat, I decided that in addition to a list of songs and links to each individual song, having a pre-made YouTube playlist with songs about joy would help, too. At the retreat, the playlist could simply play in the background. Or, with a laptop and projector, you could even display the videos on the wall in order for the ladies to watch and sing along. Music sets the mood at a retreat. We always have quiet music playing in the background at dinner, during crafts, and at other various times. At the overnight retreats, we places CD players in each cabin along with a couple of Christian music CDs so that the ladies can play music anytime they want. If you or someone you know can lead live music and singing sessions, that’s great. But if not, know that you don’t have to be without. 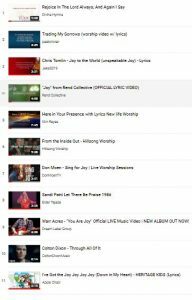 YouTube playlists like this one of worship songs about joy are a good alternative. Simply click on the image or the text link below to open the YouTube playlist in a new window. What are your favorite worship songs about joy? Let me know in the comments below, and I’ll add them to the playlist! Want to remember this? 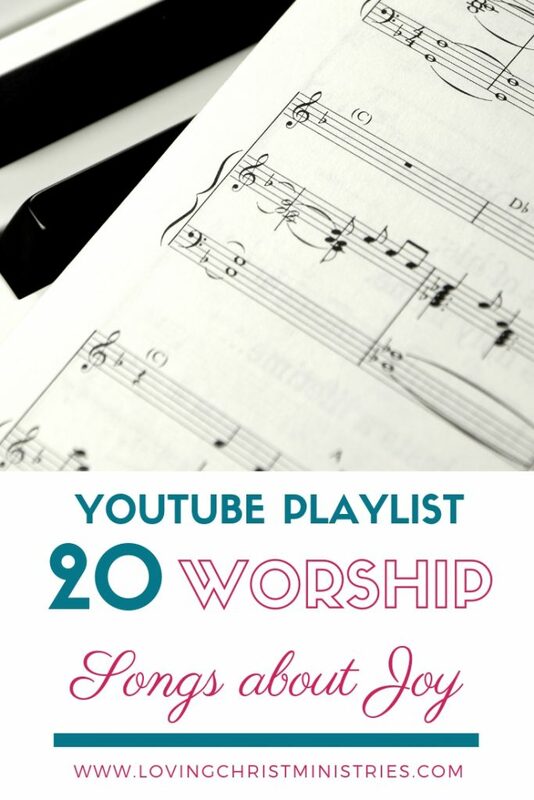 Post this article, YouTube Playlist of Worship Songs about Joy, to your favorite Pinterest board! 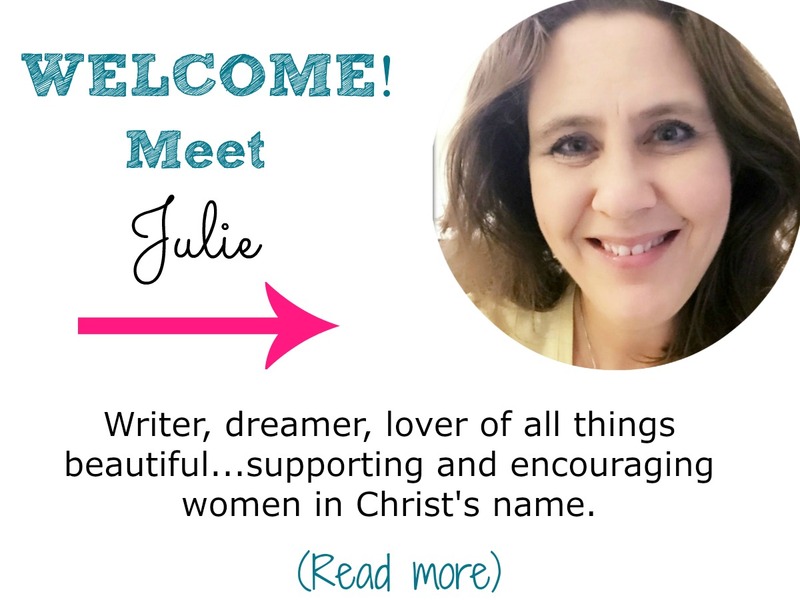 Thanks for compiling and sharing this list, Julie. Many blessings to you! I had such fun doing it! Thank you! What a great list of awesome songs! Many of these are some of my favorites! Thank you for sharing this!! 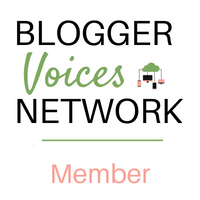 Visiting from the BVN linkup!